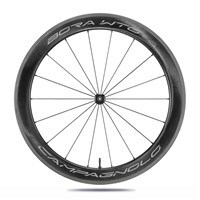 • The rim design enables the maximum amount of aerodynamic penetration when the wind angle is between 12° and 19°, making it a thrust for triathlon athletes. • The streamlined design of the central part of the hub decreases the frontal area of the component whilst the special design of the flanges favours airflow detachment. 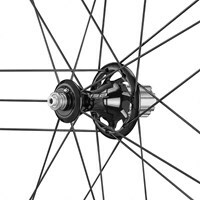 • The 18-spoke elliptical cross section in the front and 21-spoke rear cross section in the rear result in a far superior rolling resistance of the cross sections compared to competitor wheels. • The well-known USB cup-and-cone bearing system guarantees smoothness in the ceramic bearings. 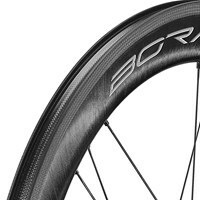 • The 2-Way Fit profile allows you to mount either a clincher tyre or a tubular tyre, with less rolling resistance: the Tubeless. • The C19 class allows you to mount tyres from 23, 25 to 28 mm, with perfect pairing of the rim-tyre system. 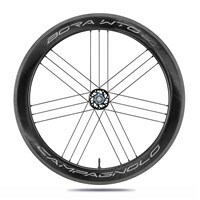 • Campagnolo's rideability remains high despite the focus on aerodynamics. 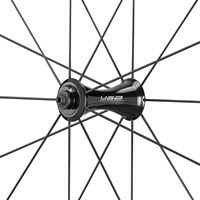 • The wheel structure enables reducing energy dissipation, transferring all the energy produced by the cyclist to the asphalt. 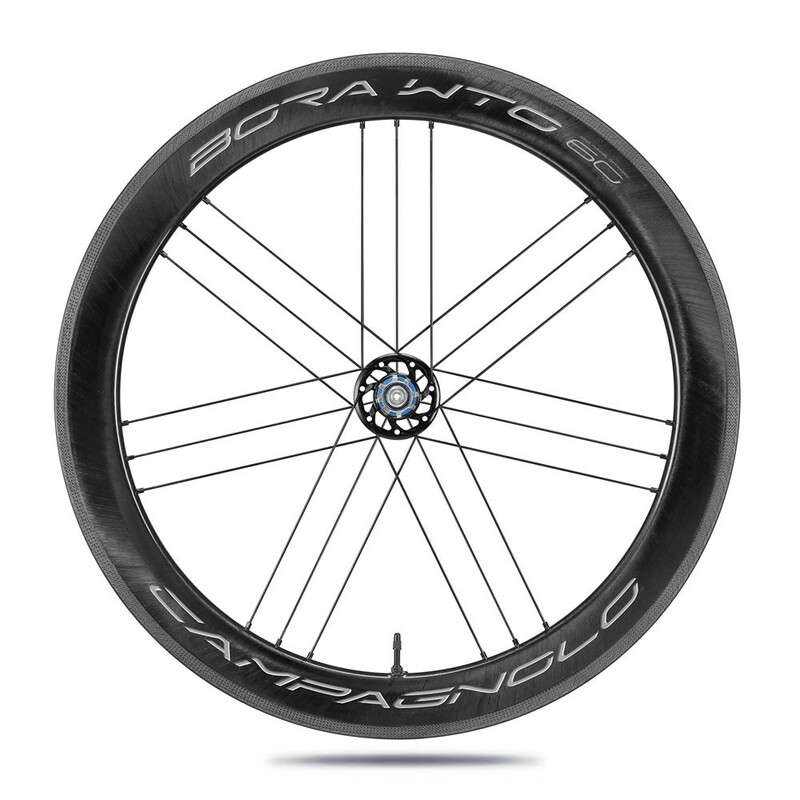 • A 60 mm profile and a weight of 1,547 g for the pair makes this wheel ideal for riding on routes that enable going more than 40 km/h.